Marvel Collector Corp Funko pop Hulkbuster 73. Funko Pocket Pop! Marvel Venom Collector Corps Exclusive NEW keychain key ring. Condition is New. Dispatched with Royal Mail 2nd Class. Funko Pop Marvel Thor Ragnarok vinyl figure cat no 240. Funko Pop Marvel Thor Ragnarok vinyl figure cat no 240. Condition is used. Dispatched with Royal Mail 2nd Class. Funko's Pop! Vinyl is the number one stylized vinyl collectible in the world with over 10 million units sold in the last three years. UPC 830395022772. Deadpool Funko Pocket Pop Figure Collection Get 6 fantastic variants including Deadpool Inverse Deadpool X-Force Deadpool White Deadpool X-Men Deadpool Inverse X-Men Deadpool Some of these are rare exclusives too! Boxes are unopened but some hanging tabs may have a crease (like 95% of pocket pops get) Selling today for £39.99 including free UK courier delivery. Thanks for checking out my listing today! Grab Venompool, the cross between Venom and Deadpool. This is a rare PIAB exclusive. Marvel Vinyl Bobble-Head Lockjaw. FromFunko's popular 'POP!'. 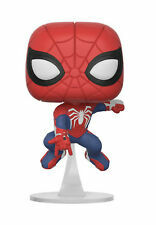 Funko Pop Marvel - Spider-Man Vinyl Figure #03. Condition is Used. Dispatched with Royal Mail Signed For® 2nd Class. X-men Wolverine Hot Topic Exclusive X-force Funko Pop Vinyl Bobble head. Condition is New. Dispatched with Royal Mail 2nd Class. Funko's Pop! Vinyl is the number one stylized vinyl collectible in the world with over 10 million units sold in the last three years. Funko - Marvel Doctor Strange Gold Chrome Pop! 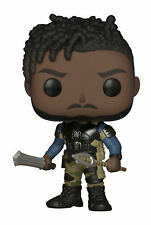 Vinyl Figure - IN STOCK UK NEW! Character Series: Marvel Studios. Category: Pop! Buy Now to secure yours because once they’re gone they’re gone forever! What you get.